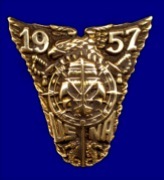 This page provides information regarding the financial affairs of the Class other than those concerning our Chair in Naval Heritage which is managed by the Foundation. Reports of that account are published on a sub-page, “Chair Correspondence Received” , under “Chair in Naval Heritage”. 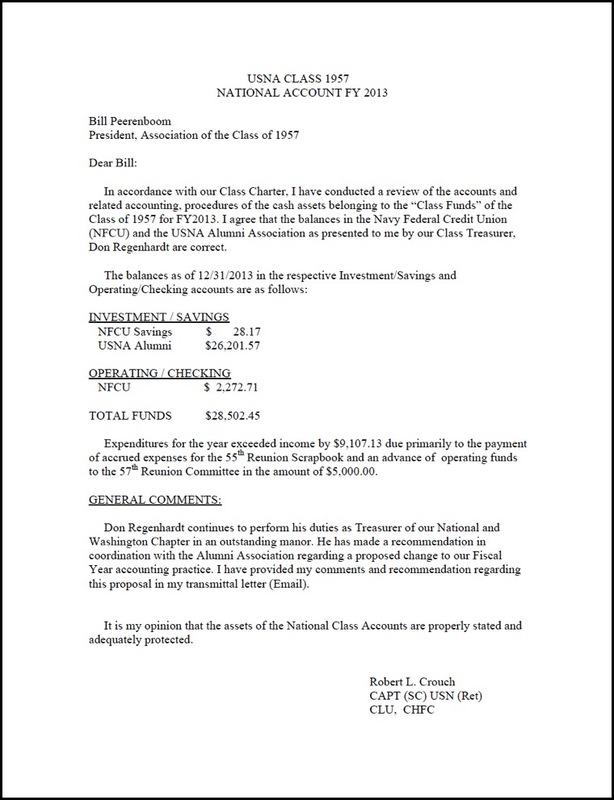 Any questions should be referred to either The Prez or to Bob Crouch who serves as our auditor. Last received documents are shown first. 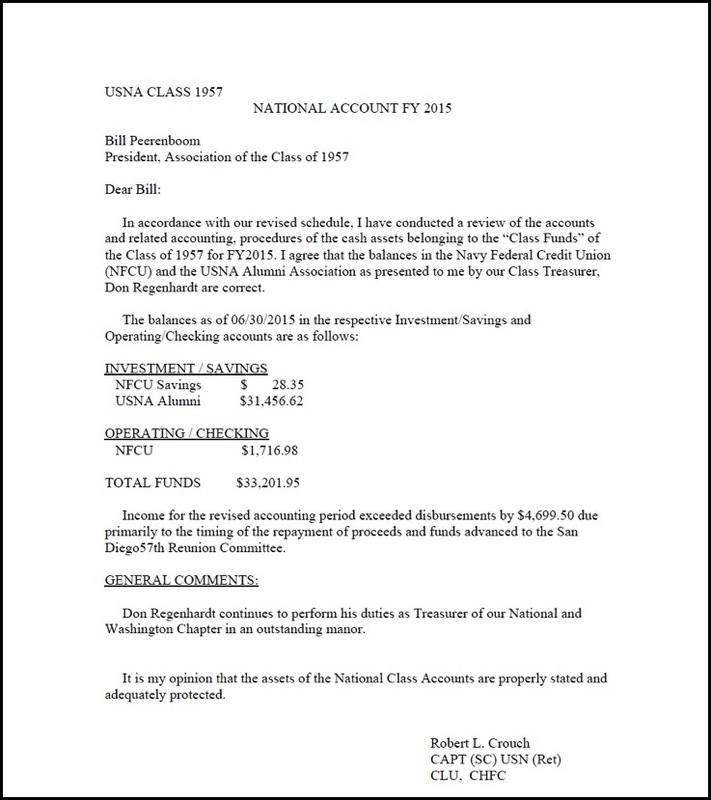 In accordance with the revised schedule, Don Regenhardt and I have completed the Audits of our National and Washington Chapter accounts for FY2015. 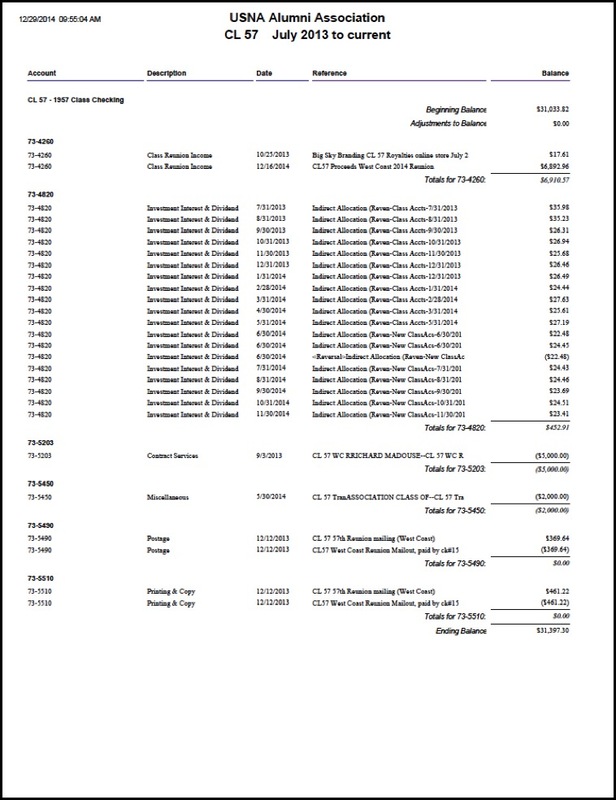 The Attachments (published below) provide summary reports of our Audits and give you the current status of funds as of 30 June 2015. 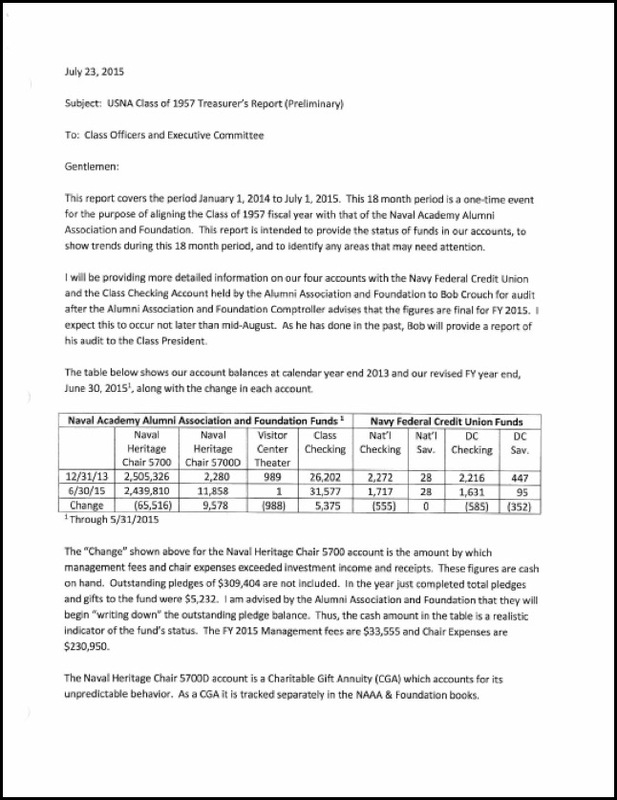 The revised schedule was adopted to realign our review and audits consistent with the Fiscal Year (1 July - 30 June) accounting practices of the Alumni Association and the USNA Foundation. 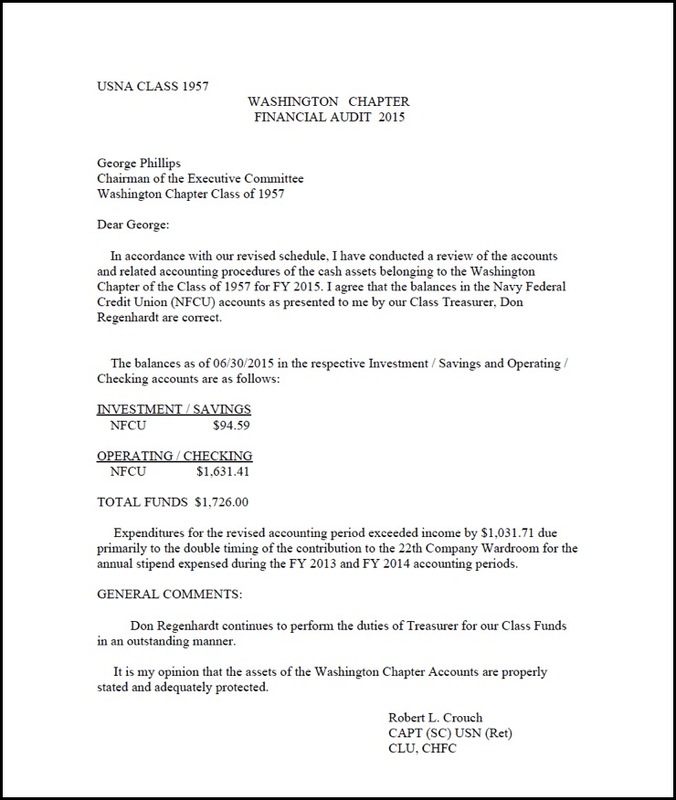 When, or if, we update our Class Charter, a reasonable schedule to perform future reviews and audits would be "(as of 30 June, yearly) to the President by no later than 30 September." 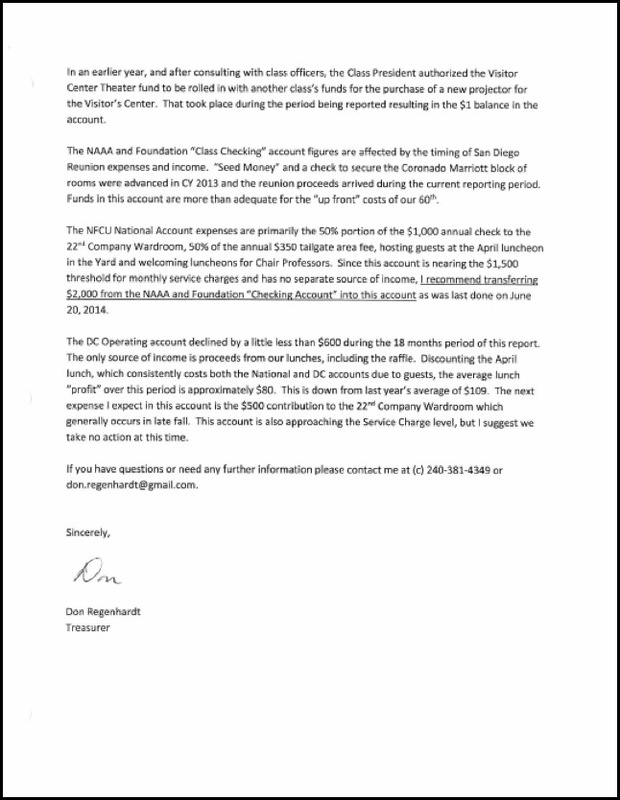 Here is the "interim" report of our treasurer Don Regenhardt. 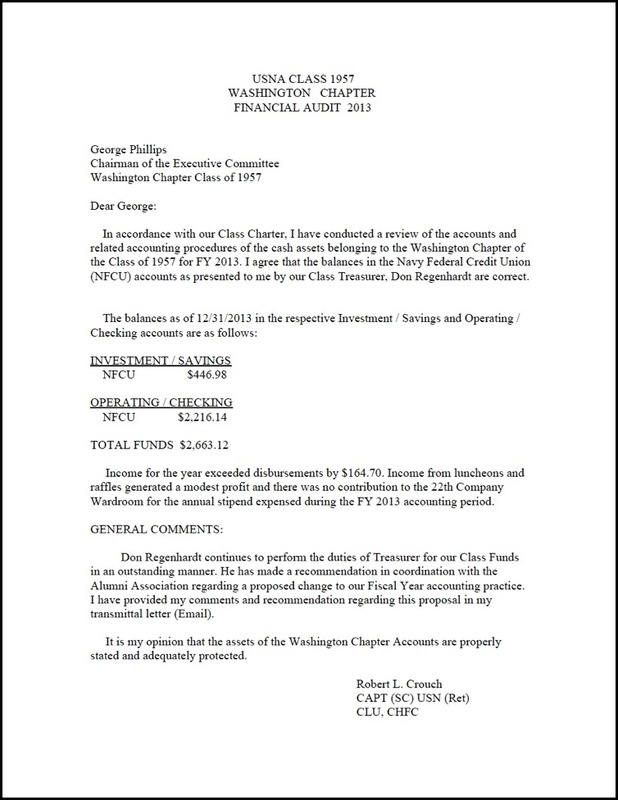 Note that it almost corresponds to our new fiscal year that we modified to correspond to that of the Naval Academy Foundation (1 July- 30 June). But since the Foundation's end year (30 June) numbers will not be ready till August, we thought it worthwhile to send you an interim report to put on the website so everyone will be as up to speed as possible. When the final numbers are in , Bob Crouch will do the annual audit and we will send those results to overtake these. Meantime please post these. As you can see, we are solvent.